Our religious education program encourages people of all ages to wonder and question. We support one another in exploring religious questions and ethical values in developmentally appropriate ways, seeking to apply the principles of our faith as we live each day. We acknowledge the transcendent mystery and wonder of the universe that is both known and unknowable. Staffed Child Care room for preschool children each Sunday, 9:45 - 11:30 AM. 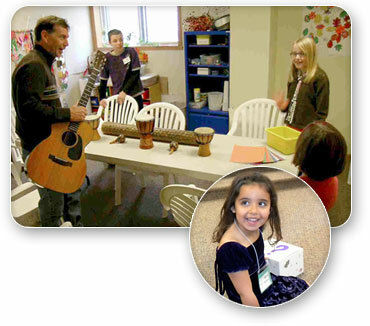 The Spirit Play program provides structure and opportunity for exploration and learning. Elementary RE: The UUA Tapestry of Faith curriculum is offered to elementary-age children each Sunday, 10 - 11 AM. The curriculum is available online for parents to read or use with their child for a missed Sunday, or just for reference. Middle and High School RE: Programming for Middle and High School youth varies. Students meet periodically throughout the year for special events. The Coming of Age program is offered to older youth. 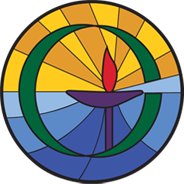 In this program students explore teachings of various religions, deepen their knowledge and understanding of Unitarian Universalism and write and share their own Credo. For more information, contact Steve Cornelius, RE Coordinator, stevecorrin@hotmail.com, 402-658-0000. A variety of learning and growth opportunities is available to adults, including programs and discussions, men's and women's retreats, book discussions, sharing over coffee, study groups, and justice groups.